A friend and prolific Twitterer, Marie Boyer, has started her very own Mac blog, Married to a Mac, in which she gives brief tutorials, including a recent one on my "precious" Scrivener. I am thrilled to see Marie starting this project and eager to see where she goes with it. A few months ago I started following The Art of Manliness, a very well written blog about what it means to be a man. While I know this sounds silly, it is actually difficult to sort things out in this rapidly changing world. This is not a website about machismo and scantily clad women. It is real advice and one of my favorite blogs. Today I stumbled upon a site that seems custom built for me. 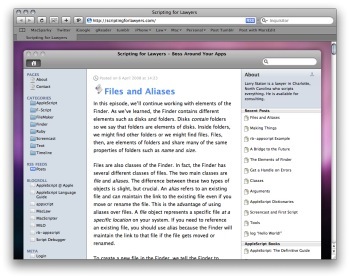 Larry Staton, a Charlotte attorney, has built a site all about automating your Mac for legal work called, appropriately, Scripting for Lawyers. 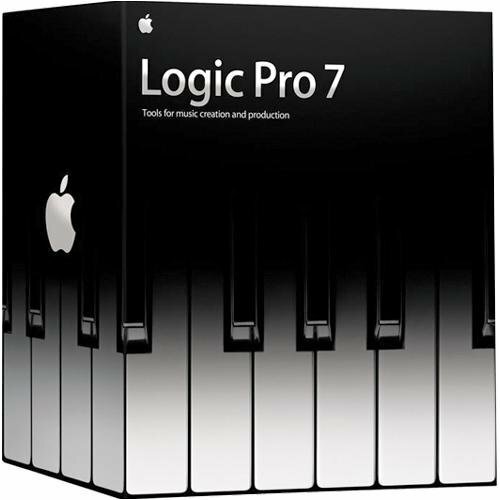 The site has lots of interesting tips and tricks and most of it can apply to anybody interested in automating their Mac so head on over and check it out. I've been corresponding with my friend Kevin Morton. He just launched his site, Mac-Lawyer.com which is his blog of about the transition of his law office from Windows to the Mac. Kevin, who is a very smart and friendly attorney, (Yes! Such people DO exist) hopes to share a lot of good tips that would be useful to any switching business. Head on over and check it out.